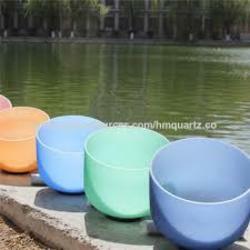 Crystal Distributing Company - Largest Wholesale Distributor - offers a wide variety of frosted crystal singing bowls set, Frosted Chakra Sets, Tibetan Frosted Chakra Sets and more crystal products. We have been 30 Years of experience in sell and distribute Crystal Singing Bowls Sets globally to over 60 different countries. We offer quality assurance including delivery on time, factory direct sale, instant quotes reply, reliable quality & service.